Build an 8-bit world in this sticker and activity book that's perfect for Minecraft fans! PixelCraft is a new brand of sticker and activity books that allows kids to build an 8-bit world with endless creative possibilities. 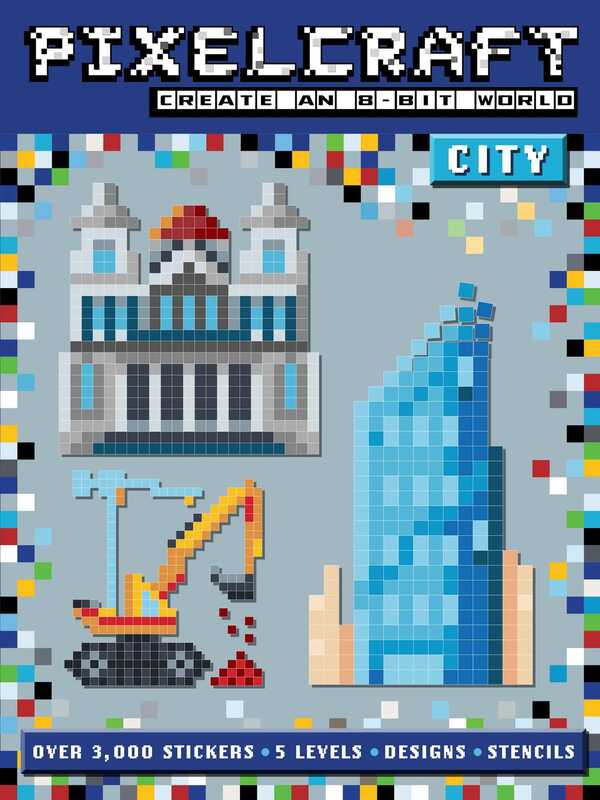 City includes a stencil sheet of fantastic cityscapes to draw and more than 3,000 colorful, pixel-shaped stickers. Kids can copy and create pixel images with the stickers and use the stencils to fill in the scenes or use blank grid pages to build their own PixelCraft worlds from scratch.